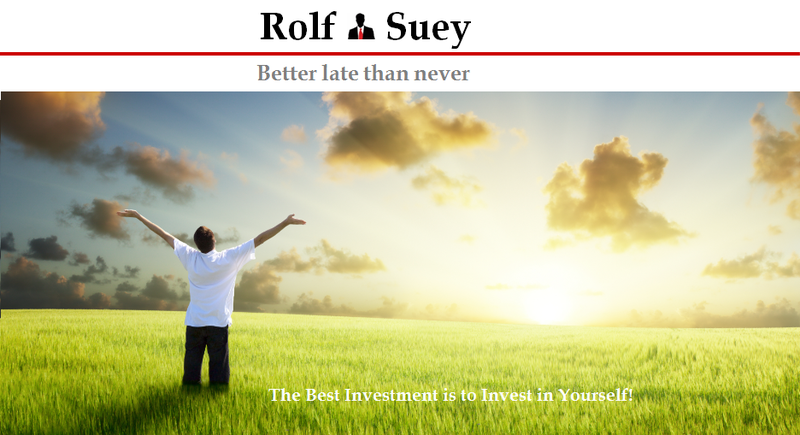 Rolf Suey - Better Late Than Never: The Seminar of Financial Freedom? The Seminar of Financial Freedom? It was more than 10 years ago when I was still very fresh from school into the working world. One day my computer ICQ alerted "Ooh Ooh! Surprisingly, one uni acquaintance named GJ initiated the chat and invited me for lunch over weekend. I am open and more than happy to get to know a new friend better. So "Yes", I replied. The lunch was at Shenton way Burger King The venue seems weird for me, but I was too naively kind to ask why. Just minutes into lunch, with my burger half-finished, I was told that we need to make a move to another place. I follow suit, just to be kind and polite but smelling rat! Very soon, I appeared at a seminar of over hundred. So the lunch was obviously an excuse, the main motive was for me to attend the seminar. I was told it is THE SEMINAR of "FINANCIAL FREEDOM (FF)!" Multi-Level-Marketing (MLM) to be exact! With a half-filled stomach, I exhausted half a day of my time. In the seminar, you will find all sorts of jewellery MLM members.. Diamond, Sapphire, Gold, Jade, Silver etc. These members will give spectacular speeches/stories on how they achieved FF effortlessly and able to retire at a very young age. After the fairy tale stories, I was introduced to Mr. GJ's mentor members. They were the ones nearer to the top of the pyramid. It is also time to receive "Bose" stereo surround sound CHANTS on never-ending reasons why I should join their memberships to stop working early. All of us were in our twenties back then. They started to dream talked about how they can retire before age 35. Yes, they were saying, doing nothing every day and yet getting huge streams of income. They even fantasized on pitying their poor friends slogging their lives in 8-5 work, while they were all relaxing at Hawaii beach with cold beer, babes and hunks! All of them were laughing their hearts out then! Unwillingly, I join in the fun awkwardly! End of the day, I felt cheated. Of course GJ will remain as acquaintance for the rest of my life since. So are the rest of the people I know on that day. Now more than 10 years had passed. I am not retired yet, neither am I relaxing each day at Hawaii doing nothing. I wondered if the rest were all relaxing? Yes, I am still working. Not so much because I am tied down financially to work, but because I had found more reasons to work than just income alone. I love the industry I am working in. I also love the forefront technological projects I am involved in. I love the rewarding feelings when complex problems are resolved. I love a job that allows me to meet/interact with new people with different backgrounds and in different countries. The exposures and experiences received are going to be more valuable than what money can ever buy! Still Striving For Financial Freedom? Why? Yes, striving is good. In fact, I am striving each day not just for FF, but health, family, work, friends etc. It motivates and makes life more meaningful. Perhaps FF does not only mean relaxing at Hawaii or Bali? To me, the single most important benefit of financial freedom is it allows a person to be 100% focus on the things he or she really want to do. Some people says Choice! Yes, provided that the person already know long ago what he wanted to do before FF. Yes, I repeat "know long ago, what you want to do before FF." What To Do After Financial Freedom? You should continue to work hard if it is for the love of your work or business. If there is love, it is called "Work Passion" NOT "Boring Job"! When your bosses or clients tick you off for mistakes, you should never feel that you can rebuke unreasonably and quit anytime, just because you are already FF. On the contrary we must continue be professional and provide better service to clients. Continuous improvement of ourselves! After FF, I will still continue to feel extremely excited about pay increment, bonuses or increased earning. That is if I love my job! Ultimately, it is not merely the money that makes you happy, but more importantly it signals the appreciation of our effort in work. If you do not really feel excited about appreciations after FF, then maybe you are stuck in a routine job to kill time only. Not true passion. Most people are like that and there is nothing wrong, but of course it is then difficult to live life to fullest even after FF. The rewards in work also exemplifies the progress we make in life! This is what true FF is all about! Know Ourselves Early, Before FF! There are people who strive very hard for FF each day. Tens of years passed, on the day of FF, often are also the day when they no longer feel motivated in life, although they still continue to work in a job. Suddenly a feeling of emptiness. Trust me, I witnessed people like that. I always felt that instead of spending so much effort striving for FF, we should really spend more effort knowing our ourselves. KNOW WHO WE ARE, WHAT MAKES US HAPPY, WHAT WE REALLY WANT TO DO IN LIFE and possibly still make a living out of it. This is why my blog is called ROLF SUEY. You need to re-assembles the letters to make it YOURSELF. Some people will say, once I am FF, I will then automatically know what to do after that? True? Know The Extremes At the Other Side, Before FF! Others will tell you, Wah.. so good life... do the things you like? There are people without food? Or they will tell you how tough your parents life are. To be honest, being reminded of the extreme poverty at the other sides of the world is very important for Singaporeans. But then again do not compare among countries or generations since there is a theory called relative poorness! You are not really poor, when everyone else beside you are poor! Nevertheless, I encouraged you to go Africa, India or even outskirts of Indonesia if you have not been there before. See with your own eyes what is poverty! Yes, we must not forget to do charity. We must not forget about there are places where people are struggling with hunger. Yes, we must not forget our parents' generations hard work to build for us what we have today. Yes, we are lucky to be Singaporeans! Use the aforementioned comments as encouragements! We should be reminded that there are people struggling without food. But that should not stop us from striving to do the things we really like? it is not all impossible even in today's society (in Singapore) where the struggle to earn money overshadowed things you like to do. Of course, we must be practical in choosing the things we like to do so that it still earn income. The key, is to know what you really want very early in your life. One way to speed up finding your love is through constant exposures to many things in life early. And yes, more importantly we should focus on ourselves, and our current life! Even if you are FF, you will be living in real poverty, if you do not know how to live an enriched life! I think it is the freedom of time that attracts many into the concept of financial freedom. When we works, someone else will determine how much and how we should be spending of our most time. Freedom of Time! Hmmmm... good point. Most people in our society sacrifice almost all of their time in work. The biggest problem is, even when their body is at Bali beach, their soul is still in work, replying emails and answering work phone calls. So in this case if provided many days of leave, also useless. Yes u need some luck to be a better work culture sometimes. Frankly for some people even if they are FF, have a lots of time, not working anymore, they will still behave like that. Or they feel EMPTY then, if no work clients or colleagues call or email them! Why, because in their entire life they had devoted to work and never have anything they like to do REALLY. In Europe, you try calling your colleagues during their Summer holidays and tell them it is urgent and they need to attend to it immediately??? It just stumbles me recently that financial freedom is ultimately still a subset of freedom so although it gives us a bit of backroom to rest on the finances there are still many decisions that are made upon us with regards to freedom. One example is moving abroad leaving families and parents back at the home country. Even if we decideto bring them over they might be reluctant to move over. Still we need to.be around to take care of them espescially coming from asian perspective. 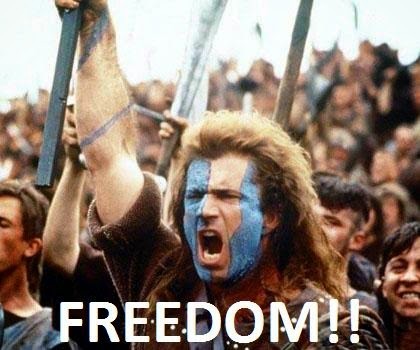 Living or working in Sg as a PMET (even if u r not Singaporeans), frankly the word "Freedom" is more within reach! The problem is what will u do with Freedom. For 1 month or 1 yr of freedom it is easy to know. But same thing u love for rest of ur life? Making the decision to travel abroad is a decision the person make! Why? Because somebody take a gun to point at them? People should already know about the parents problems back then. Trade off for non-citizens, and comparing to their home country, the person get better work exposure/income/currency exchange/ no need NS.. Hmm..so maybe the remarks of saying Asian perspective of taking care of families is not relevant at all. If the person who travel abroad is middle income or poor income but have education, he can still stay in the poorer home country, and using theory of relative poorness, he can still be very wealthy staying with the family back home!!! Problem here: We want "cheap and good" for ourselves only! Often not realizing we already got it! My time its was Norni juice for MLM. MLM at one point was so "hot" that even successful insurance managers quit their jobs to start their own MLM companies. MLM works splendidly if you start one yourself or you are the early founding members - that's how they leverage on OPT and OPM. I like what you wrote on: "Know Ourselves Early, Before FF!" I think I shall call you the Oil Man instead of Oily Man. Who knows? You may be the next T. Boone Pickens! I better "tripod" you now. Yes I know the Norni juice..then there is Nuskin, Amway etc. I have a camp mate during reservist is also considering quitting job to full time in MLM. His mindset is diff, and I respect that. So I will never say MLM is good or bad, as long as u noe wat u r doing with valid reasons. The job scope for MLM is persuading /convincing people. If u love doing that, you be FF in MLM. So it again boils down to what u love to do. One thing I like about ur comments is u introduce new things to me. Great that now I know T Boone after googling about it! I learn something new thru a comment. Learning is FF to me too! Rolf, FF or not FF, I think the more important thing is to live life to the fullest. FF might never comes for many of us in Singapore with all the materials temptation and high standard of living, but it doesn't means that we should postpone the enjoyment of life until FF. Yes. But can you elaborate what is live life to fullest? To all readers this question "If a genie now says, I give u FF and freedom of time until u die, but u can only decide on 1 thing (can be work) to do each day for 8 hrs and cannot change. Can u decide immediately??? FF & Freedom of time, still work harder? You are truly as freed as a butterfly! What is Your Buy-in Price for XYZ stocks? Oil Crisis – Did You See it Coming? Relationships – What It Means to You Financially?